We had a breeding of Hope of Siam Crown x Perseus of Siam Crown. 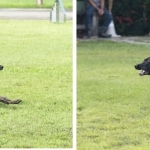 (Malinois). Puppies are expected in early December 2016. Contact us for more details. 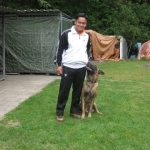 We are pleased to announce that our litter from Bjorka v.d. Pioniershof PH 1 and Arras v. Treekzicht PH 2 was born this morning. 4 males and 3 females. Mother and pups are doing great. Demi v.d. 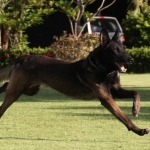 Wolfsklauw IPO 1C, has gone into service with the Hong Kong Police Department. Our congratulations to the Hong Kong Police on their new addition. The Siam Crown gang took first through fourth place in IPO 3, first place in IPO 1 and first place in the separate category of IPO 3 protection. 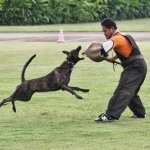 Six Security Dog handlers and four security dogs were trained at Siam Crown for a Thai based client. We have posted a video for training and tracking in IPO, we hope you enjoy it. Siam Crown was pleased to host a seminar conducted by Mia Skogster on January 23rd and 24th, 2010. The seminar which was well attended and extremely interesting covered IPO Obedience and Protection. We thank both Mia and Jan Skogster for a great two days. Videos posted in Gallery for 2009 FCI World Championships. Competition ended for the 2009 FCI World Championships in Schwanenstadt Austria today. 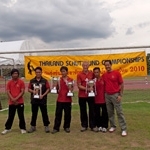 The Thai Team had a great time, and gained a lot of valuable experience as well as many new friends. Michael Lee turned in an outstanding performance with Criket van het Berkenmeer from Siam Crown with a score of 267.